The primary reason I started this blog was as an outlet. When I feel pressured, stressed or down, I like to write…writing just makes me feel better, it has cleansing properties for me. Writing race reports and sponsorship announcements are all well and good, but sometimes when things just aren’t going my way. And well folks…it’s been a bit of a rough winter. After an extended “mental break” during the fall, where I just rode my road bike a ton, I started to ramp up the training with a 6 week endurance block as the weather cooled down. Alas, while out for an easy 45 minute evening run, I felt some discomfort on the inside of my knee that quickly locked up my lower leg and forced me to walk 4km home from Princess Point. I was confined to the bike for a few weeks until I could run again, and even then we decided to use the opportunity to put a heavy focus on the bike and keep my runs to the 20-30 minute range as a secondary workout of the day. As a long-time runner I have 10 years of running base built up beneath me to fall back on, but this is still a tough pill to swallow…because I love to run. Bonus points if you can pick out (a) my week off from injury and (b) my time off being sick! Ugh. Then, just when I was starting to groove and move away from the endurance focus towards the nitty-gritty high end training in the middle of December…I got sick. It was a nasty cold that took up residence in my chest and would just not go away for a long time. Riding indoors wasn’t fun because the stale air made breathing tough, and doing anything outdoors in the suddenly cold air was just as difficult. I brought my bike and trainer all the way to Emma’s parents’ place in Walkerton, only to do one short ride in the basement then call it a week. From start to finish, it was a good 10 or 11 days before I was able to get back on the bike/run. Things started turning around again on this little endurance progression…that last 15 minutes sure did hurt though! So I’m pressing the reset button. The illness took a lot out of me, so I feel like I am almost starting from scratch. The first few rides back were a huge shock to the system. The effort level on my first run back felt like the pace should have been 20 seconds/km faster than it ended up being. Near the end of the first week the good sensations started to come back a little bit, through the middle of this week I struggled a little bit but made it through well enough, and it was only this weekend that I finally felt like an elite athlete again. 7 hours on the bike and 40km of running is on the low end for me, but there was a lot more intensity on the bike than I’m used to and hey…it’s the best quality week than I’ve been able to put together since last season. As far as I’m concerned, everything at the end of 2014 was just “base”, and real training kicked off last week. Fresh start, new leaf. On Wednesday I’ll see where I am, as I have a threshold test on the schedule. I’ll be trying out my new tri bike configuration in its first big test since I did the final tweaks, and I’m kind of excited to see where I am again. The part of testing that is absolutely fascinating for me is the unknown…that feeling of not knowing whether you’re in for a surprise or not. I guess we will see on Wednesday! A blog shout out to the first one who can spot the 4 differences. And a prize to the savvy eye who can spot the 5th difference! (Hint: it is a variation on one of the other 4 differences). Wheel differences don’t count…that change is still to come! Neither do bar tape and bottle cages…I expect better of my readers ;)! Here is a shot of the original set-up. 5. saddle angle? did you get a proper fitting? possibly new stem… can’t tell. Close! Saddle, cockpit and crankset are all correct. Pedals are actually the same, just re-coloured. Saddle angle is just a by-product of the new saddle, rather than a conscious change made with performance in mind. The stem is also new, but again, just a by-product of a cockpit that has a 26.0mm clamp diameter vs 31.8. 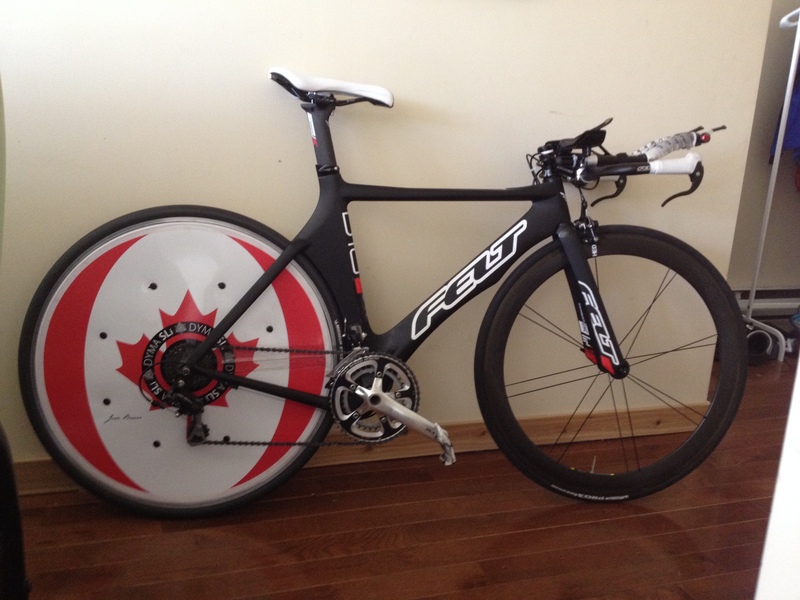 I had a RETUL fit done on my old bike at Dundas Speed Shop two years ago, and had the coordinates transferred over when I got this. I’ve had suspicions on how well they were transferred since. 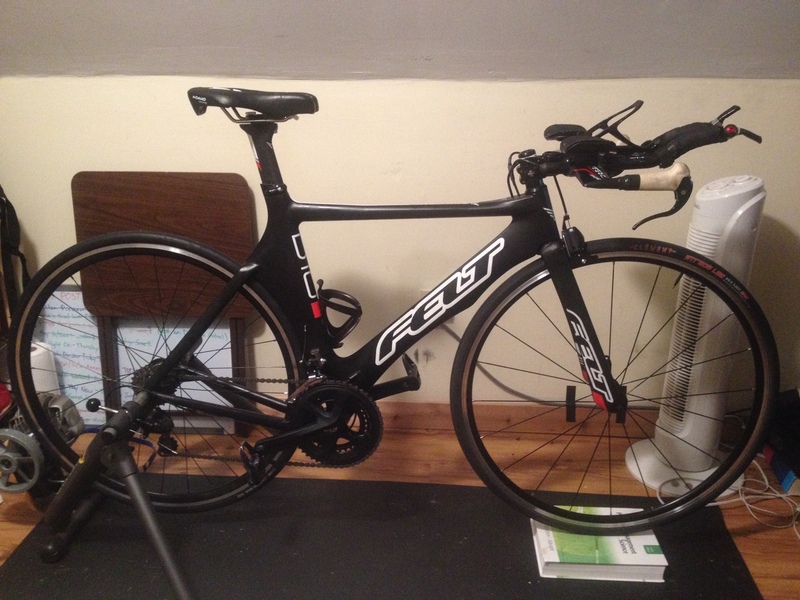 With all of the changes (including the new bike), I will likely be heading to Sweet Pete’s in the coming months for an update on my RETUL fit. Thanks for the comment Colin!